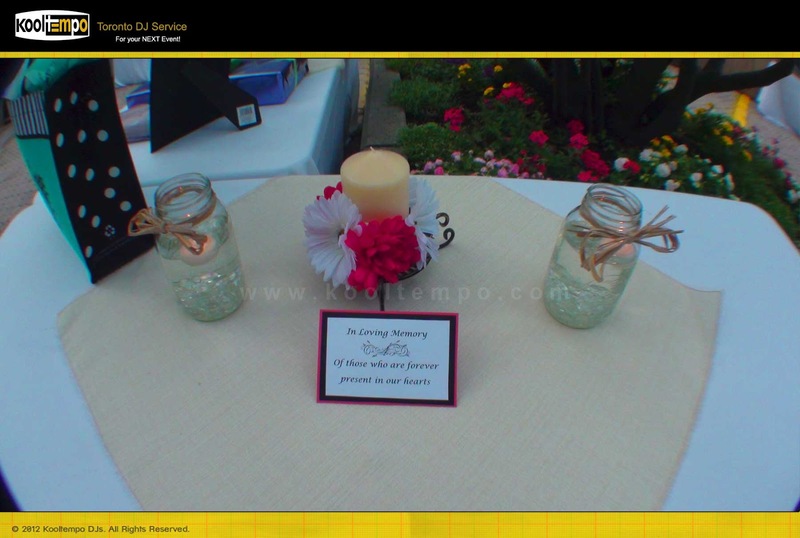 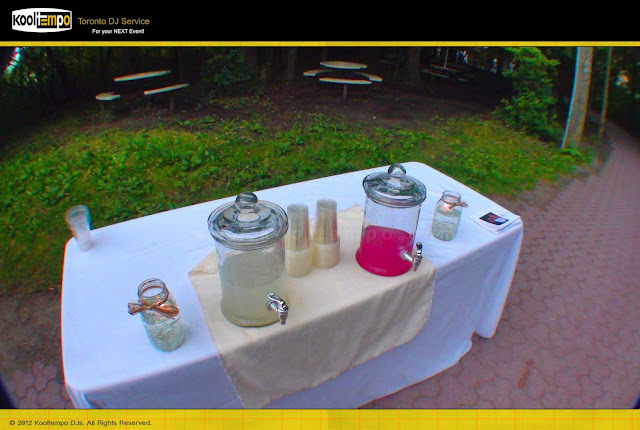 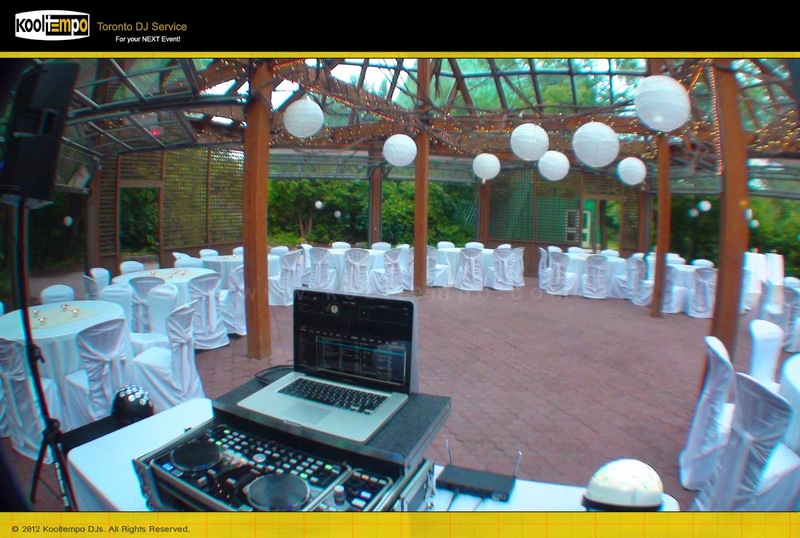 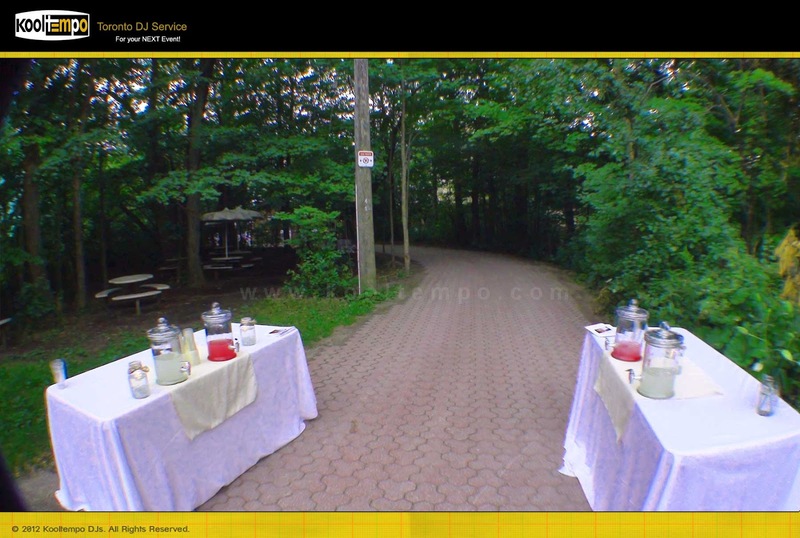 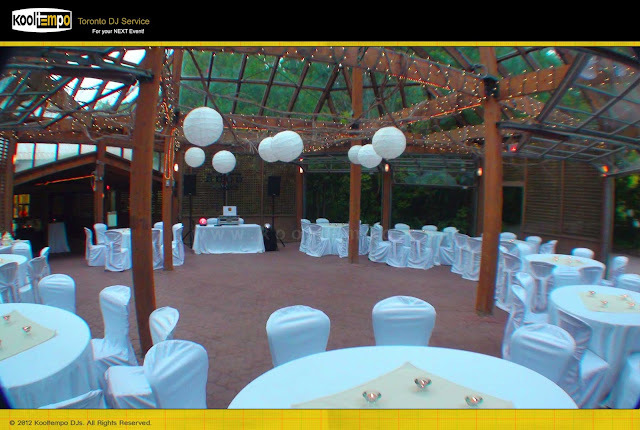 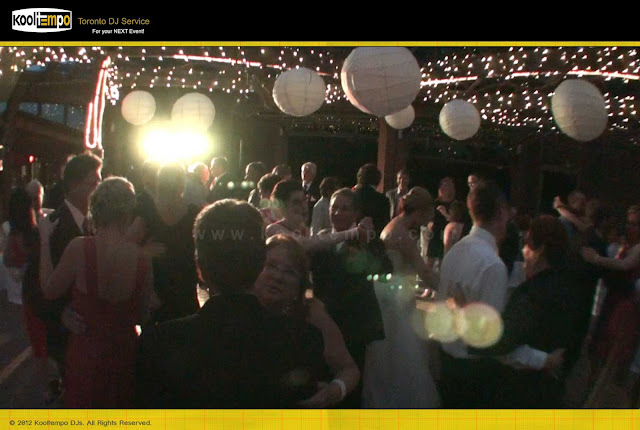 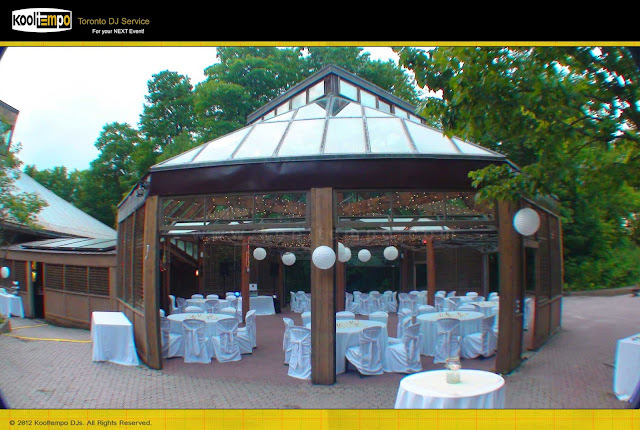 Kooltempo Toronto DJ Service recently performed / DJ'd at the Kortright Centre for Conservation. 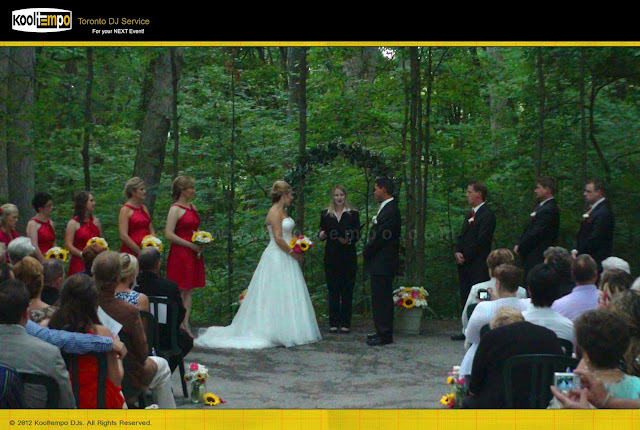 The Wedding Ceremony was held outside in the breathtakingly beautiful backdrop of the Forest and the reception was held under the outdoor Gazebo / Tent. 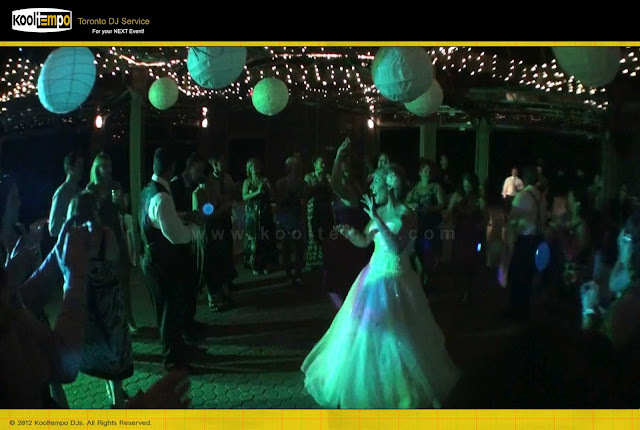 This Wedding reception was a bit different to the traditional events where the guests did not sit down for a dinner but had h'orderves and headed straight to the dance floor which kept us busy from the time the bride and groom entered the deception area. 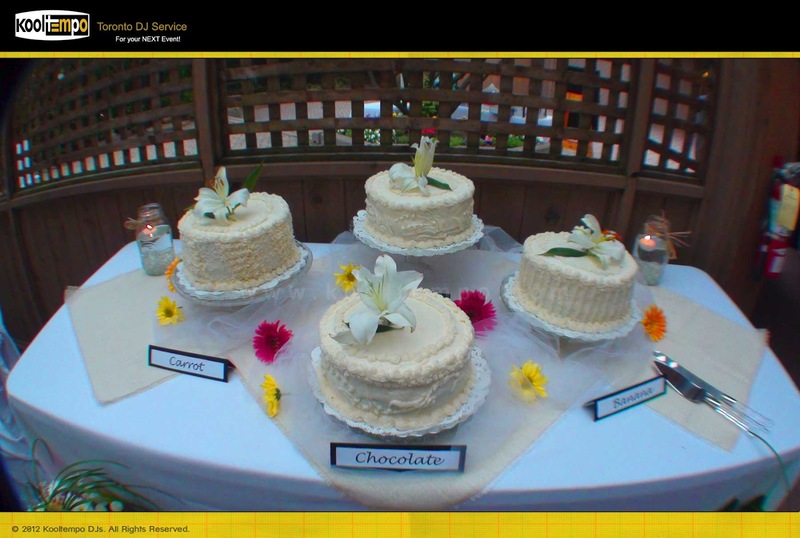 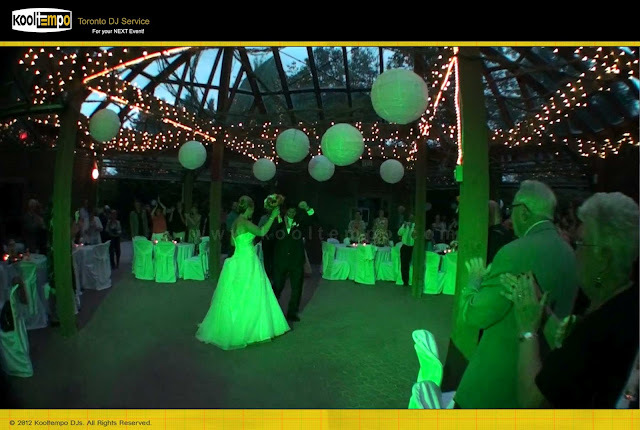 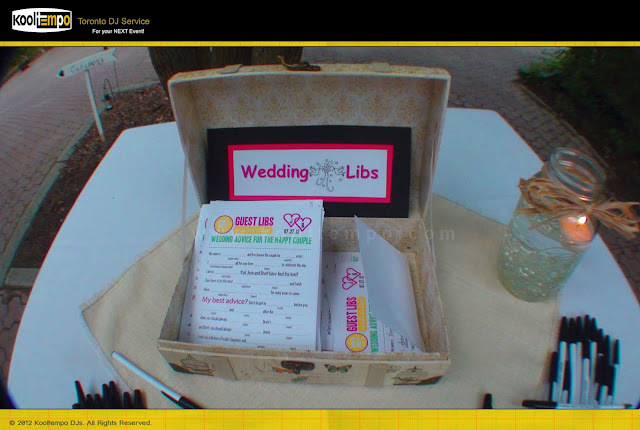 Our Toronto Wedding DJ played a mix of 80-90's music along with Top - 40 hits, Oldies and some Classic Rock hits that the crowed and the bride and groom enjoyed.